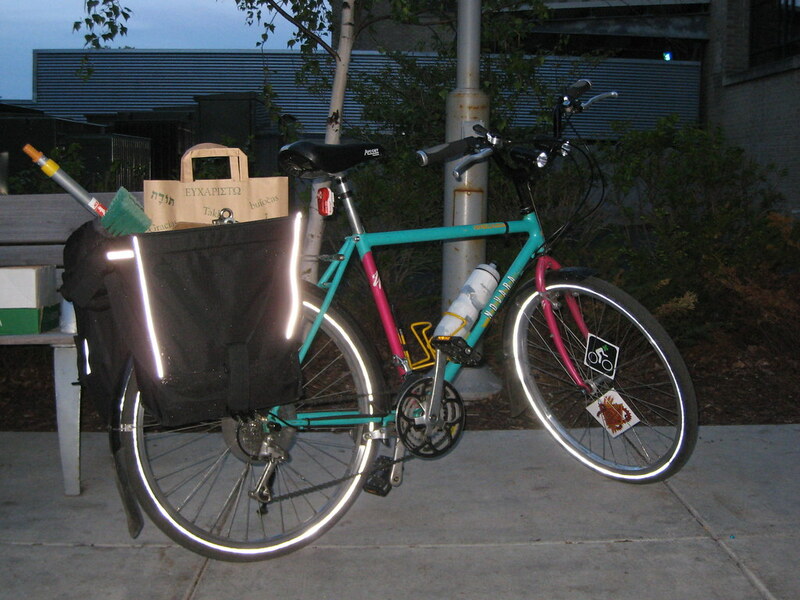 Bike: Modified a Ponderossa Novara to be my all around commuter/utility bike, working on several others. Riding Style: I just ride, not fast, probably pretty slow, but for me, it’s just about being on the bike and riding. Why do I ride: Because every day starts out great and ends great when you are on a bike. My biggest challenge so far: Just getting back on the bike as an older woman, learning all the tricks to live a car free lifestyle, the challenge has been extremely enjoyable. My future goal for cycling: Still haven’t achieved the goal of riding thru the winter, but it will happen. Best biking story: I hope it hasn’t happened yet, but feel free to ask me what my training plan was when I got back into cycling – it’s laughable, if I can do it, anyone can! What turns my crank about cycling: It just makes me feel good – stronger in my body, doing good for the earth, just living the healthy lifestyle. Anything else you’d like to share: ummm, it will occur to me later I’m sure.